Yogurt has made quite the resurgence in the last few years as one of the top healthy foods you should eat. When you go to the grocery store, you may have noticed the multitude of yogurt products available these days. Some are in a liquid form, some are Greek-style, and others come in a multitude of flavors. It can be confusing to find the right yogurt that’s actually healthy. Below we’ll explain you certain factors that you should be knowing in how to choose the right yogurt. To add yogurt to your list of healthy foods, you have to be aware of how much good bacteria it has. When selecting yogurt, try to buy the brand that contains both milk and added live or active bacterial cultures. The more bacterial cultures the product contains, the better. Try and stay away from brands that have a great deal of added sugar, sweeteners, and hydrogenated vegetable oils—these definitely aren’t ones to add to your list of healthy foods. These good bacteria normally inhabit our intestinal tracts and are necessary for nutrient absorption, elimination, and our immune response. 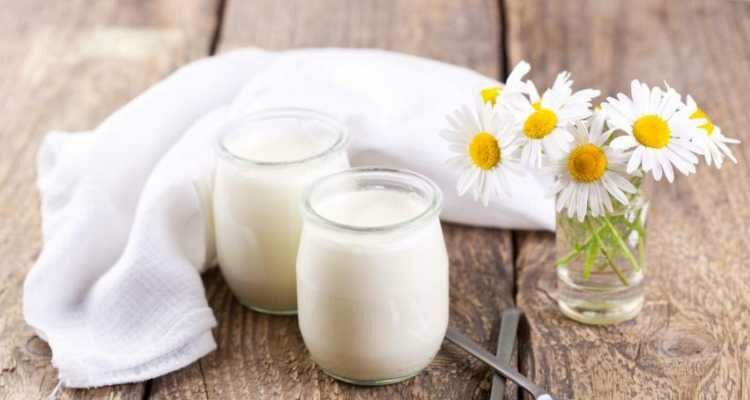 Most yogurt products are made using calcium carbonate and milk so healthy yogurt should contain at least 15-20% of your daily recommended amount for calcium. Check the label to ensure that your yogurt contains enough calcium. If you really want to add yogurt to your list of healthy foods, then try to find ones that also contain vitamin D and magnesium. This can be a big problem in most yogurt brands that are flavored or have added fruit. Read the label to make sure it’s low in added sugar. If there is a large amount of added sugar or sweeteners like fructose or fruit sugar, these products will appear at the beginning of the ingredients list. Try to select a brand with no added sugar. Yogurt with added fruit is a common source of added sugar—so if you want to eat healthy foods, then you might be better off choosing yogurt without the added flavors and fruits. This is not really an issue in my opinion, as brands containing more fat are not necessarily a bad choice. There are some brands available that contain healthier omega-3 fats but their price may not be worth it given the very little amount of omega-3 fats provided in the product. This type of yogurt is relatively devoid of sugar and lactose but much higher in protein—plus it’s quite low in calories and carbohydrates. Try to purchase the brands that are lower in fat and have no added sugar. When you’re trying to eat healthy foods, there are so many options to choose from, especially due to the recent yogurt craze. Try to follow these guidelines to make sure you’re making the healthiest choice! Haupt, A., et al., “Greek Yogurt Vs. Regular Yogurt: Which Is More Healthful?” US News website;http://health.usnews.com/health-news/diet-fitness/diet/articles/2011/09/30/greek-yogurt-vs-regular-yogurt-which-is-more-healthful, last accessed Dec. 2, 2013.